When children stop showing up at Detroit’s Bethune Elementary-Middle School for an extended period of time, Sherry Taylor and Myrna Capela try their best to track them down. One or two students leave Bethune every week, but Taylor, the school secretary, says only a handful — maybe 5 percent — notify the school of their plans to leave. The rest have to be found. Taylor and Capela, the attendance agent, spend hours on the phone and knocking on doors trying to account for students who have just up and left. When a child first leaves, teachers typically mark a child absent for a few days before notifying the office that something beyond a routine stomach bug could be the culprit. “After a week, the office will make a call,” Taylor said. Sometimes the school discovers that family contact numbers are no longer working. Sometimes parents don’t answer their phones. If the students who leave head to another district school, they will turn up in the district’s computer system and it will be obvious where they’ve gone. But if a family leaves town or transfers to a charter school, staff members at Bethune have to find them. Capela visits family homes and talks to neighbors. But there are cases when it’s not clear. That’s when concern turns to worry. When the city reacted in horror three years ago to the news that two children had been found murdered, hidden in their mother’s freezer, many Detroiters asked how two children could be missing from school for so long without anyone noticing. But in a city in which schools are run by dozens of different entities that don’t share information, educators say they never know if children could be in grave danger. 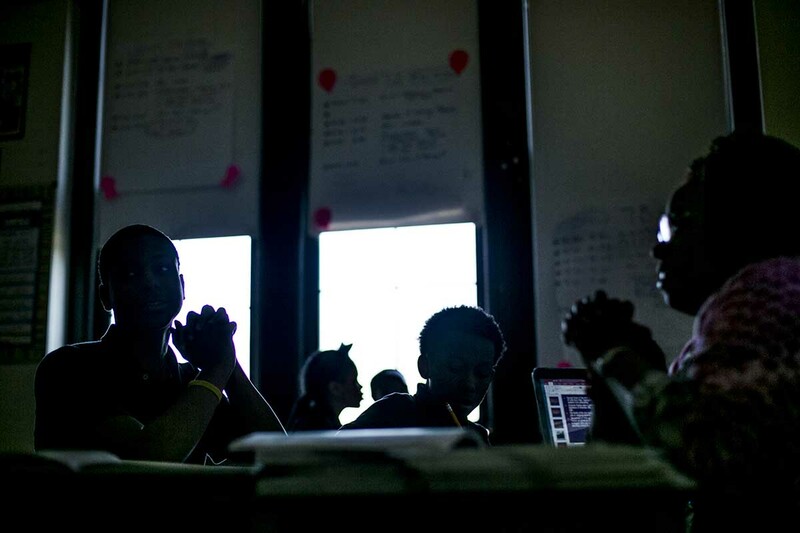 In recent years, a school advocacy organization raised $700,000 and built a common enrollment system that would have kept track of where Detroit students are enrolled. But the system, which would have given parents a single application to use for every school in the city, was controversial. Detroit's main district, then going through a leadership transition, declined to participate as some worried that a common application would give charter schools an advantage in the city’s intensely competitive school landscape. Some charter leaders worried that the system was rigged to promote the district. In the end, so few schools participated that the effort was shelved. Another possible solution is a data system now being built by the state of Michigan. Within the next few years, that system will let schools quickly access the transcripts and records of students transferring in. Eventually, said Tom Johnson, a data manager who has been working with the Michigan Department of Education on the new system, it could also allow a child’s former school to see where he or she has enrolled. But for now, when children leave Bethune, it’s up to Capela and Taylor to find them and make sure they’re safe.